Do any of the following strike a chord with you? If you answered "yes" to any or all of the above then you are definitely in the right place! The Calm Coach is ready and waiting to help you regain Calm, Ordered Living and to put you back into the Driving Seat of Your Life! I have taken the hard work out of having to think about how you are going to fit everything into your day; the stress about having a supportive space; the angst about eating healthily; and the guilt about looking after yourself for a change. If you are ready to take back control of your life and to put your needs first for a change, then I invite you to invest in your own copy of The Poised for Power Workbook and MP3. An Advanced Planning system that will allow you to be in control of your time and your goals. This alone will save you hours of time; reduce your stress levels; and put you back in the driving seat. A Supportive Space designing method that will allow you to not only create the ultimate supportive space for yourself but for you to feel that you belong in your own space once again. An Energised You arising from your new found knowledge and interest in how food makes you feel and knowing which foods support your energy levels you can create your own unique eating plan. An Ultra Positive Self-Care Routine that allows you to look after yourself in a way that supports you in a safe and guilt-free way. It is my mission to provide you with a day of positive and sustainable changes that will move you significantly closer to where you want to be. The Poised for Power Virtual Day is designed for you if you have had enough of feeling out of control and overwhelmed with your current life and are seeking solutions to get you back on to an even keel once more. This virtual day will allow you to make key changes for you in such a way that you had never thought possible. You will be getting instant results in the four core areas of life all in a short space of time. What benefits can you expect from this Virtual Day? How much time do you lose by not being fully organised? How much space do you lose which is currently taken up by clutter? How much energy do you lose by not eating energy optimising foods? How much self-esteem are you lacking by not putting yourself first for a change? How much longer are you willing to put up with life as it is or are you willing to change? I’m ready to get Poised for Power with your knowledge and expertise. I have had enough of putting up with things, feeling out of control and overwhelmed. I am ready to make some fundamental changes to my life and regain my Personal Power and benefit from all the time, space, energy and self-care that I will gain from making all of these positive changes. The Poised for Power Virtual Day Workbook holds the answers. 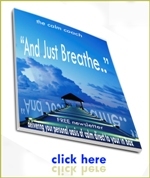 Are you ready to regain control and create an oasis of calm that benefits your entire life? P.S. How much more time, money and energy do you want to lose in 2011? Just focussing your energy on this workbook has the potential to turn your life around where you gain more time, money and energy. If you have reached the point where enough is enough and you are fed up of losing time, money and energy then you are in the right place to start making the changes in your life that you are seeking.